A monumental outdoor sculpture, "Jungle Red" is composed of large red fabricated steel beams that appears to move in and out of the ground in both a dramatic and whimsical style. 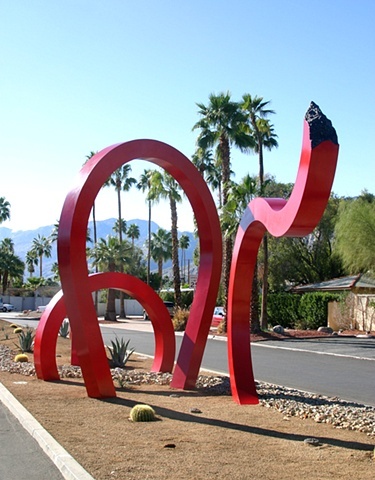 The piece was commissioned by the City of Palm Springs and the Warm Sands Neighborhood Association. Upon seeing the bright red maquette for "Jungle Red", members of the neighborhood association named the piece as a reference to the iconic 1939 Joan Crawford film, The Women.